Educational Qualification : MBA or PGDBM course recognized as equivalent to MBA by UGC/AICTE with specialization in Marketing/ Agri Business Marketing/ International Marketing/Rural Management or Minimum 60% marks in two years’ full time M.Sc. (Agriculture) with specialization in any discipline with Full time regular degree of B.Sc. (Agriculture) with minimum 60% marks. NFL Selection Process : Selection will be based on Written Test & Interview. Application Fee : Candidates Have to Rs.700/- through DD in favour of National Fertilizers Limited payable at New Delhi. How to Apply NFL Vacancy : Interested candidates may apply on plain paper attaching therewith bio-data & address (including contact number & e-mail id) giving details in tabulated form together with self-attested copies of certificates regarding age, date of birth, qualifications send to Dy. 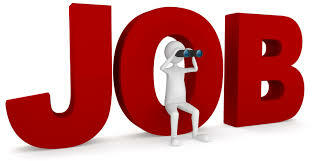 General Manager (HR), National Fertilizers Limited, A-11, Sector-24, Noida – 201 301, Distt. Gautam Budh Nagar (UP) on or before 01.08.2017.